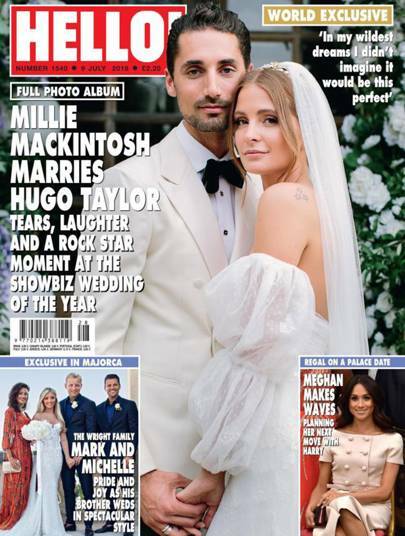 It seems like just yesterday that we were watching the drama of Millie Mackintosh and Hugo Taylor's on-again-off-again relationship on Made In Chelsea. They've been pretty quiet since recoupling after the breakdown of Millie's marriage to Professor Green, happily living their lives together. Earlier this year, however, they took their relationship to the next level, by getting married! 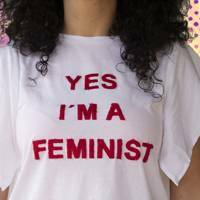 According to , they had an intimate legal ceremony at Chelsea Town Hall and then celebrated at Whithurst Park in West Sussex with friends and family that weekend. On the big day, Millie wore a gorgeous, vintage-style gown by Kate Halfpenny, boasting off-the-shoulder ‘double bubble’ sleeves, as well as a full lace veil and an elegant tiara. However, Millie has now shared a snap of what she wore to officially get married at the local town hall - and it's super unexpected. 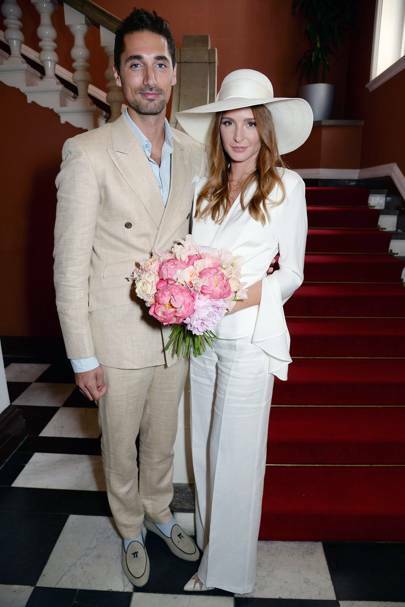 Sharing a snap of herself and Hugo captioned: “The day we got officially hitched," Millie could be seen donning a white suit from Max Mara and wide-brimmed hat from Kate Middleton's go-to milliner, Jane Taylor London. While we expected her to opt for a dress, she looks super chic in this pared back trouser suit. Speaking about the big ceremony, Millie told : "The whole day has felt like an out-of-body experience. "Even in my wildest dreams I didn’t imagine it would be this perfect. I am so excited to finally be married to Hugo – he’s the love of my life." Hugo added: "It’s been everything we dreamed of times a thousand. I’ve never been happier." Aside from bridesmaids and pageboys, Millie was also joined down the aisle by family pug, Mabel. 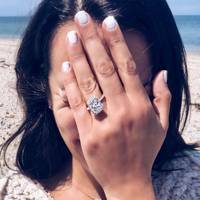 We'd figured out that Hugo asked Millie to marry him while on holiday in Greece, after she was papped wearing a huge rock. The news came a year after the pair rekindled their romance. The pair originally met on the set of MIC in 2011 and sparked up a relationship. 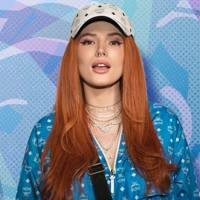 Predictably full of drama (they are reality stars after all), they later split after it was revealed that Hugo had cheated on her with Rosie Fortescue. At the time, Millie claimed she would always love Hugo, stating in an interview: "I loved him - those feelings don’t disappear – but I just always have to remind myself why we’re not together." Millie then went public with Professor Green at the BRIT Awards in 2012 before going on to marry him in September 2013. The pair were wedded for three years but split up at the start of 2017. On the week Millie's divorce was finalised, she went public with Hugo at Monaco Grand Prix while celebrating his 30th birthday. Well you know what they say, old flames never really die, eh? Hugo said: "I knew she was The One within about five minutes of us getting back together. Millie, who used to be married to rapper Professor Green, said: "But if we’d stayed together when we were younger, we wouldn’t be together now. "We had to go away, do our separate things and grow as people. We needed that time apart."